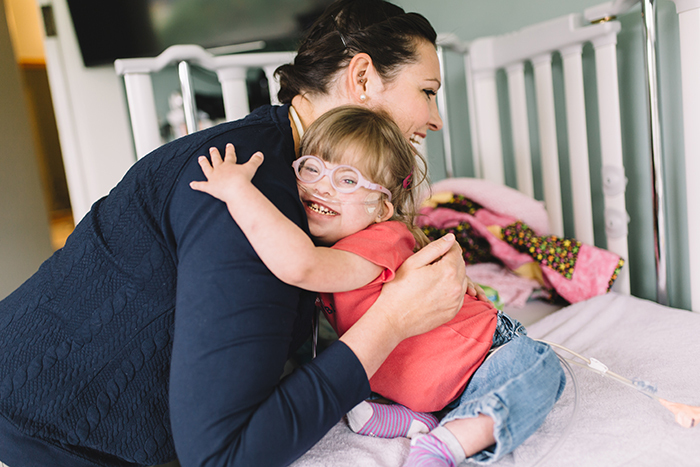 Canuck Place Children’s Hospice is more than a physical location. It is a living philosophy; an evolving spirit of care that is deeply rooted in compassion and a strong desire to create lasting change in the lives of children and families. What began as the goal of one person has evolved into a shared purpose and a powerful collective vision. In 1988, Vancouver nurse Brenda Eng saw a need. Upon visiting England’s Helen House, the world’s first children’s hospice, she returned determined to create a pediatric palliative hospice in British Columbia. The vision for Canuck Place was born. Inspired by this vision, others joined the cause. Brenda worked with Betty Davies to develop the program and the original model of care, as well as Lois Youngson at the University of British Columbia (UBC). She brought in George Jarvis, marketing executive, who helped her form HUGS Children’s Hospice Society, and together they rallied the community for support. Answering the call were The Vancouver Canucks Hockey Club and the Griffiths family, along with The Vancouver Sun, Variety – The Children’s Charity, Loewen Group and TELUS, as well as many other public and private donors. Glen Brae Manor, a 16,000 sq ft mansion was built in 1910 by Scottish lumber and real estate baron, William Tait. After becoming a private school followed by a rest home, the house was eventually gifted to the City of Vancouver by subsequent owner, Elisabeth Wloskinski. She had just one condition: that the house be used for a purpose which would benefit the community. The City of Vancouver joined the growing vision by leasing the property to Canuck Place for $1 per year for 50 years. Slowly becoming a reality, the future hospice was renovated to maintain its original splendour and home-like environment, and to include the essential elements required to offer pediatric palliative care. Canuck Place opened its doors on November 30, 1995, to become the first free-standing hospice in North America, and living proof that a genuine need, combined with vision and a passionate group of caring individuals, can make any goal a reality. Through the support of the Provincial government, Canucks for Kids Fund who have granted over $28 million over two decades, many leading organizations and incredibly generous individuals Canuck Place has thrived. It takes a community to build provincial pediatric palliative care. In 2009, Canuck Place recognized that we were reaching only 20 – 25% of children and families in need of pediatric palliative care in BC. Armed with passion, experience and a growing team of inspired individuals and partners, we embarked on a quest to open a second hospice location and in 2014, Canuck Place – Dave Lede House, located in Abbotsford, BC was opened.